Like Ebenezer Scrooge, I find the week before Christmas a great time to get work done (although we do disagree on the actual holiday itself as I like to spend it away from work with my family and try all the new toys my children receive!). In the week before Christmas, there tends to be less calls and inquiries from customers or potential sales to process. So it gives you a chance to clear tasks which just never seem to get done and also to get everything ready for the new Year. In particular I like to revisit my Java code (I am a developer at heart) and deal with 3 ‘ghosts’. When you write a piece of software it tends to accumulate lots of old ‘stuff’ – comments, hacks, abandoned side projects, unused code, etc. Some of this is incredibly useful but most of it is just clutter. Get rid of it now so that in 2011 your code is more manageable. There is a lot of code I have added recently which is not as clear as it could be. It needs to be nicely formatted, properly documented, the variable names could be improved and it would really benefit from some notes to explain context and link to example files. Then it will make sense when I need to revisit it at some point in the future. Tidy it up now while you still have all the ideas in your head. I want to make some big changes and improvements to our PDF library in 2011. So now is a good time to review the code as a whole and make those structural changes that will allow me to add lots of really cool new stuff without breaking the existing code base (which is definitely not cool). Give yourself a clear roadmap for fitting in my new changes. So use the quiet time to clear the decks and have a good code tidy. 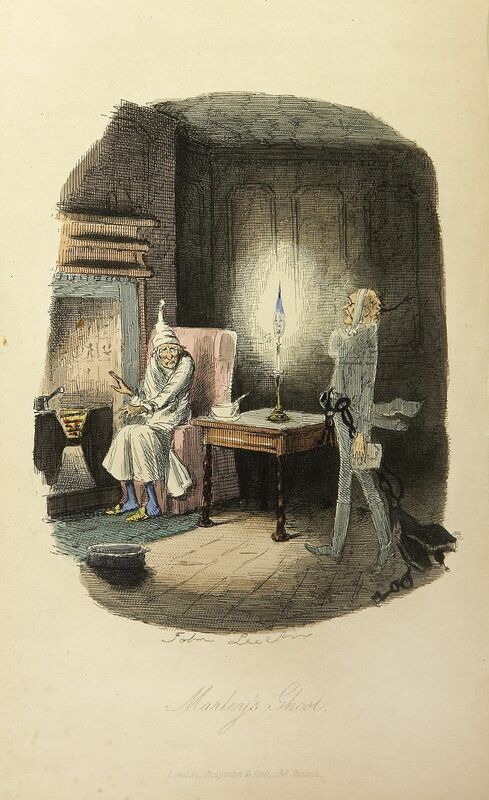 Then you can sit down and enjoy your Christmas Carol without any worries about unwelcome visitors. How do you deal with your ghosts at Christmas time?